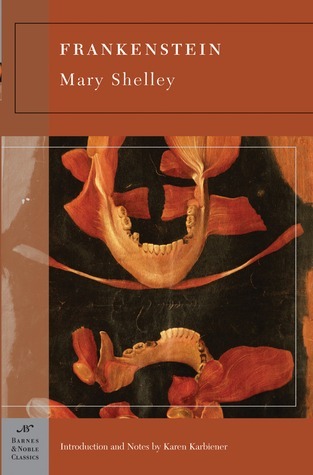 Mary Shelley began writing Frankenstein when she was only nineteen. At once a Gothic thriller, a passionate romance, and a cautionary tale about the dangers of science, Frankenstein tells the story of committed science student Victor Frankenstein. Obsessed with discovering the cause of generation and life and bestowing animation upon lifeless matter, Frankenstein assembles a human being from stolen body parts but upon bringing it to life, he recoils in horror at the creatures hideousness. Tormented by isolation and loneliness, the once-innocent creature turns to evil and unleashes a campaign of murderous revenge against his creator, Frankenstein (summary from Goodreads). Never in a million years did I dream that I would not finish this book. It’s short—like only 220 ish pages. I got about 70 pages in and the thought of trudging through another hundred or so pages just sounded like our torture. I wanted to gouge my eyes out after only a couple of chapters. This book was NOT for me. For one, I couldn’t stand Victor. I found him weak and unbelievable. I had no idea why he made this monster in the first place or how to came to be and I jut found the whole book to be one big question mark. The first thing that I wondered was why did Victor create this monster and how did no one notice? Where did he get the body parts for this kind of situation? All we really know is that Victor just liked chemistry….ok great but what about this monster? Where did that come from? All of a sudden he made this monster (again so many questions about why no one seemed to notice and where he got body parts for this kind of thing……I’m assuming he needed body parts???). And then the monster comes alive…..again questions about how this happens, and all of a sudden he’s lose! Instead of being like oh f*ck, I let a monster lose I better tell someone—-Victor is like hummmm maybe if I ignore it, it will go away. Oh well—-and he moves on with his life and tries to forget the monster. Then it starts murdering people and Victor says nothing and lets a village girl take the fall for a murder. Again he says nothing, he knows she’s not responsible but he says nothing. Sure he feels bad and all, but at the end of the day he’s not willing to step up and be like hey guys I created a murder monster here sorry. I get that this is supposed to be a horror novel but for me I needed to know a lot more why and how this whole situation came about. And Victor’s never-ending whining was unbearable. He always feels so wretched and guilty but yet doesn’t say anything and he’s just so melodramatic that it was absolutely unbearable for me. Both my sister and I had the exact same issues with this book as did a number of readers on Goodreads. So I feel good that I am not alone in this endeavor, however it made me so sad to DNF this one but I literally couldn’t take another page of Victor’s whining. I’ve found that when it comes to classic horror lit, people are in one of two camps—Dracula or Frankenstein. For me it’s Dracula. For it’s time, this book would have been sensational! The science aspect alone would have been exciting and new, so Shelley was obviously a revolutionary. Not to mention she was only 19 when she wrote this book—I would hate to read anything I wrote at 19. So she has my respect when it comes to ability and creativity, but this one missed the mark for me entirely. I wanted to love it so much but it was firmly in the DNF. It was so interesting to hear your thoughts on this!! I happen to love this book, but I 100% see where you’re coming from haha. I wonder why these things impact people in such different ways? Because again, I totally see it! But it’s never really bothered me. I have lots to think about now for sure! Thanks! !